It is commonly recommended to go for something that matches your personal interests. Even though it’s a nice decision that ensures your own long-lasting passion towards the newborn business, in order to build a profitable dropshipping webstore you should nevertheless pick products carefully and base your choice upon some reliable and measurable criteria. To check the potential of any drop shipping niche you’re considering, you can conveniently use our free tool that automatically analyses the niche prospects. 1. How to find a niche market using AliExpress? Knowing that the potential of every niche depends on a number of certain criteria, we first of all define the parameters that will most likely influence our choice. So what are they? • AliExpress products quantity. We look at the number of items that can be found on this platform upon the use of a particular keyword (we include only the items that have the free shipping option and the 4*+ rating). − For 1-99 items the score is 3*. • The niche popularity on AliExpress. We set the same parameters and sort the items by the number of orders. Then we take the first 10 items and calculate the arithmetic mean of the number of orders. − How satisfactory is the shipping speed. − For 93% – 93,9% items the score is 3*. Price setting aspects. We are surely mostly interested in the products and dropshipping niches where a considerable markup is possible. It is exactly the case for the vast majority of simple basic goods offered on AliExpress because their price is really low. It means there’s no problem with setting a higher price on our dropshipping website – it will anyway be lower than the price of competitors’ goods, so our customers will be satisfied with the purchase, and we will be happy with the profit. To estimate the margin potential, we take the price of the most popular item in the niche and look this item up in 10 other online stores. We calculate the arithmetic mean of these 10 different prices (i.e. the average market price) – and compare it to the price set by AliExpress seller. • For 1% – 49% the score is 3*. Seasonal fluctuations of demand. There are types of goods (for example, Halloween decorations, Christmas gifts, etc.) that are in demand only within a limited period of time. There’s nothing wrong about having these products in your store if they are combined with some other kinds of offers (birthday cards, wedding decorations, etc.) that are not season-dependent, but it’s not recommended to rely on them solely. 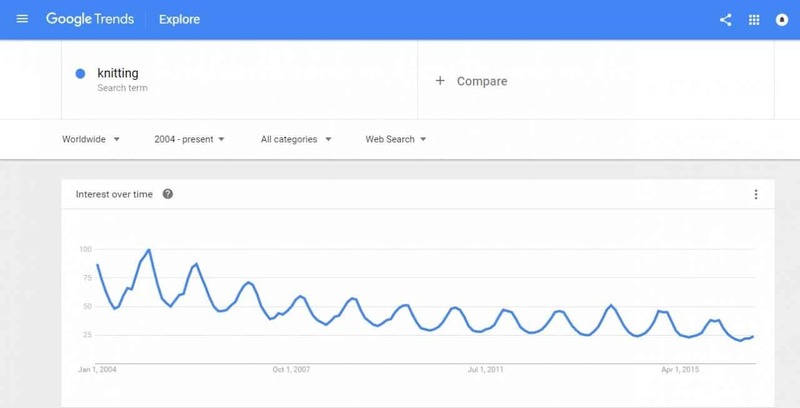 If you are not sure whether the niche you’ve chosen is seasonal, check it with the help of ‘Google Trends’ tool – this process will be described in detail further. Trends. Fashion, as well as public interest towards different product categories and separate items, tends to change over time. In order not to miss the hottest trending topics, we monitor general public interest towards various areas of life with the already mentioned ‘Google Trends’ tool that helps us define the most promising areas that are likely to see the highest demand in the nearest future. As we will discuss it in this article further, Google Trends shows us the graph which is a visual representation of public interest towards some particular topic. It is important to track this trend in the target region within the period of the last 5 years. • For a descending trend the score is 3*. • We can select enough relevant and competitive keywords related to this category. Speaking of search engine optimization (SEO), it is vital to mention that this aspect is essential for a successful webstore promotion. SEO potential of a niche should be evaluated carefully in advance, this is why it is necessary to rely on some quantitative indicators. This article describes this process in detail – since it’s quite a complicated issue, we decided to devote a separate post to it. Whether the interest towards this search query is seasonal and changes through the year. What you need to do to use it? Pick a product category. The easiest way to do this is to rely on Aliexpress rel=”nofollow” in order to gather all the possible categories (e.g. electronics, home and décor, jewellery, etc.). 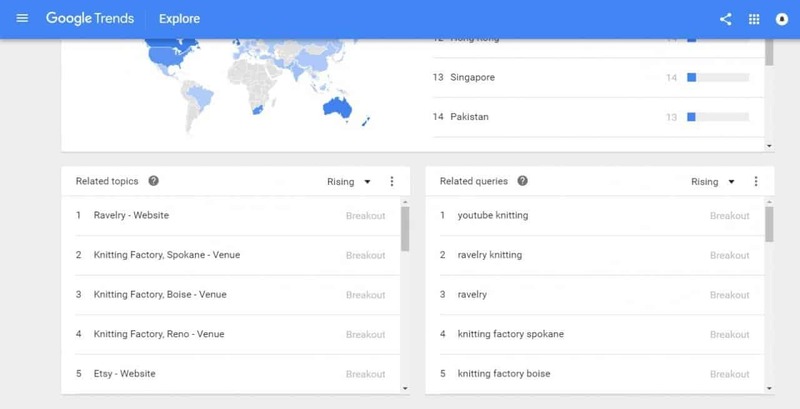 Go to Google Trends and type in this category in the ‘Explore Topics’ field. Let’s take ‘knitting’, for example. Look at the result and try to analyze it with the use of additional settings. What’s quite curious, this example shows the seasonal interest towards this search query, like we previously mentioned – if you mouse over this particular graph, you will see that peak seasons for this search query are winter months. Surely, you will also find it essential to learn more about the regions where this search query is the most popular. Additionally, you will get the chance to take a look at the most popular related search terms and estimate the speed of their popularity growth. 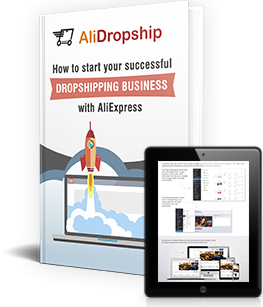 This will be a very important piece of knowledge at the moment of planning your marketing and SEO strategies necessary to promote your dropshipping webstore. As we’ve mentioned it previously, it is essential for your product niche to be suitable for social networks promotion. For example, while estimating whether we can use Instagram for this or that particular category, we use the statistics provided by the Websta service. All you need to do is type the chosen category in the ‘Search’ field. 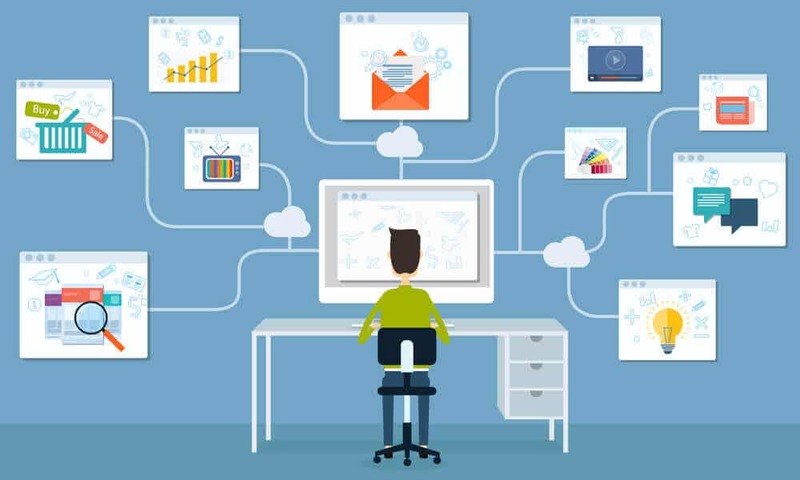 What user accounts you can cooperate with in order to increase your webstore awareness. For 0 accounts with this amount of followers the score is 3*. We usually try to collaborate with the accounts that have at least 50,000 followers as this provides us with quite a significant audience. The most common way of such collaboration is promotion via shoutouts – we ask the account owner to publish our advertisement posts from time to time on a paid basis. To learn more about this strategy and our experience of its successful implementation, check out our blog article where we describe the whole process in full detail. We also invite you to read our very own success story of using Instagram shoutouts and increasing the dropshipping store turnover dramatically. Facebook as a social network is also an exciting way of communicating with your prospective customers and making your webstore well-known and popular. We usually consider a niche to be promising and prospective if it has more than 15 groups with more than 30,000 members per each. Additionally, it can be useful to also check out the ‘Pages’ section – it gives you even more insight into this niche popularity and its opportunities for your business. For 0 groups with this amount of subscribers the score is 3*. To learn more about our strategies that are most typically used to promote a webstore on Facebook, visit our blog – this case study shows a detailed example of a successful promotion via this social network. It’s important to mention that all of these parameters can successfully be used to evaluate not only these particular niches, but the related ones as well. For example, exploring the knitting niche, you can also consider looking into sewing and knitting patterns, craftwork materials, etc. Do we avoid any dropshipping niches? There are some specific niches that should be approached with great caution. We recommend you to think really carefully if you want to include them in your store. Items that are usually carefully checked before purchase – sophisticated electronics, footwear, exquisite clothing, etc. When we buy such products in regular brick-and-mortar shops, we try them out beforehand and make sure they suit us by all parameters. If you include such offers in your store, be ready to deal with lots of product refunds and returns – most likely, your customers will experience some difficulties with ordering the right modification from the first time. Large and heavy items. Huge packages may cause some undesirable shipping issues. At the very least, the cost of such a delivery will be frustratingly high, and your customers will see no point in ordering such an item instead of buying it in a regular store. Items that can get damaged during transportation. Fragile products made of glass, porcelain, etc., as well as food, are not particularly suitable for being loaded in and out multiple times. Since the delivery can take a significant amount of time, the overall condition of such items by the moment when the package is received can turn out to be quite disappointing for the customer and, therefore, for your store reputation. Items that can possibly experience some legal issues while being taken by a postal service and transferred through customs. Knives, fishing and hunting guns, bows and arrows, etc. can be classified as questionable goods by a postal service and customs, therefore it is vital to check their requirements beforehand to be absolutely sure you will not experience any troubles before shipment. Please note that these requirements vary in different countries, so take some time to learn more about these issues in your target region. This is the exact way we select niches for our clients who want to start their own dropshipping store. Every webstore is created as the result of such an in-depth analysis, and we do our best to make our customers satisfied with the financial outcome. If you’re thinking of starting such a customized store yourself, get in touch with us, and our qualified support team will be more than happy to help you. 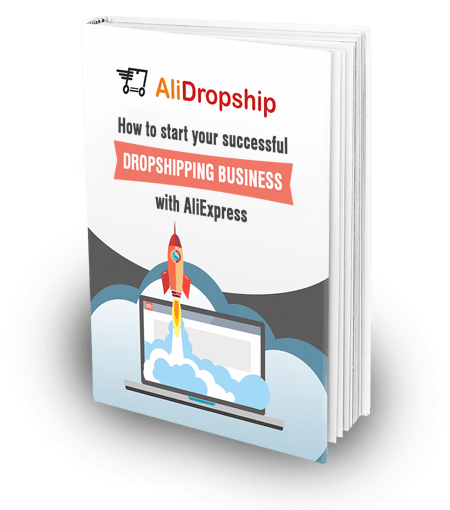 Alternatively, you can check out our list of the most promising dropshipping niches – we made it in full compliance with all the aspects described above, and we keep updating this list for your convenience. If you want to easily calculate the potential of drop shipping niches you’re considering for your store, use our free research tool that shows how good is this niche for your business. It’s very obvious you put a lot of effort into the service you provide for your clients , thank you for this well written and informative article. Thank you! We are glad you found it useful. Im not understand – must pay 900 dolars for what? there is way to use dropshipping platform without pay? Thank you very much Yaros, I’m following you WF post and the ones here, extremely useful! Soon, I’m going to be one of your client… Do you accept my own niche suggestions too when I order for a custom web site? Hi, Arun! Yes of course, we will be glad to consider your niche! Thank you so much for this amazing and informative post. Hi, just wanna know what happens next after taking all the scores? How do we apply it to select the right items? Shall we choose only the ones with a perfect score? Is there a passing mark? Here we usually recommend focusing on two main parameters – feedback score and the purchase volume. I can eliminate a great deal of guesswork in settling on the right niche. A very thorough report. The most extreme niche report if you ask me. My problem however is the keyword analysis, competition review, and keyword competition. There is no information whatsoever on these key terms and they are the most integral elements in identifying a niche. If you could please elaborate on the difference of these terms and their scale definition, I will be very grateful. This page info is really worth reading and understanding especially for people like me , who are new to this e-commerce business world. Thanks for the info. Really appreciate. Thank you so much for this. You have cleared up a lot of confusion for me. Now, I can gauge the market a lot better and actually have a place to start.. Lifesaver! I will be very honest. I’ve been reading a lot of this stuff for the past two months or so but definitely the two kings of super value are two people: Yaros then after comes kingpinning travis. Where are your explanations for keyword analysis, competition overview, and keyword competition? These are crucial components that determine whether your list of niches work. I can confirm that there are no any other additional fees. For this price you get a complete webstore ready for getting your first orders. Yaros is your theme for sale? will it work on shopify? Themes come free with the plugin. They work with WordPress only. Ahh.. I already choose my niche, bought AliDropship Plugin and paid my Domain before reading this article. You are not recommending Apparel but my niche fall under that category. What will happen to me? Should I buy another Domain and move my AliDropship Plugin into that new hosting and domain? Don’t worry, apparel niche can work great, but I recommend that you avoid shoes. Why do you include only the items that have the free shipping option ? Don’t a paid shipping is usually faster than the free ones? Free shipping option means that neither you nor your buyer will have to pay extra for delivery – in other words, your expenses are lower, you get the opportunity to increase the price to a reasonable level, and your client gets more likely to buy the item. If you feel that for your target audience the speed of delivery is a more important factor than price, feel free to choose paid shipping option as well. In this case, we recommend to choose the items with ePacket delivery option as it’s more quick and convenient. Are you going to update the list for 2018? Thank you for your insight. I’m just learning about dropshopping and have purchased the Aliplugin app. Your article is really helpful to me to refine ideas. hello! could you please tell me how you rate a Trusted supplier? is it special tools? This is a great guide; one of the best I’ve read for researching s targeted niche store. I t really takes a lot of the guess work out of determining which niche can be profitable. Thanks for the info Olga.